Is there a bigger caper than the illusion of a happy marriage? More than any heist or hold-up, breaking down someone wearing a matching ring is a tremendously emotional and spiritual crime. That’s the thesis at the heart of The Big Caper. 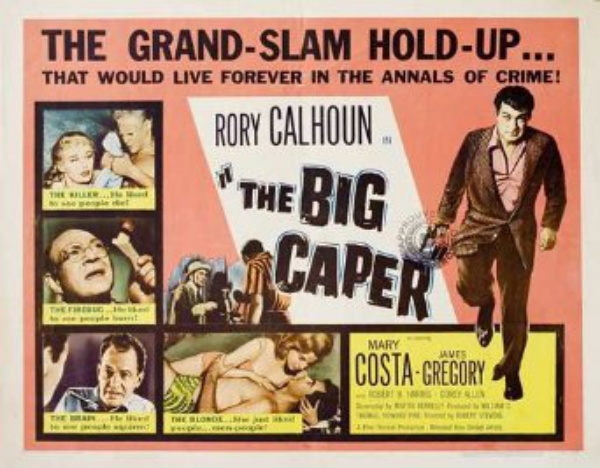 A remarkable cheapie film that’s about a payroll rip-off on the surface, The Big Caper pits the underworld against the suburbs in superb pulp fashion while aiming its sights at two lustful crooks on both sides of the bed.